Large Municipal Lot on White Street. Free Parking after 6pm Monday - Saturday and Free Parking all day Sunday. Semolina Restaurant is a farm to table, BYO dining establishment serving simple, casual cuisine. 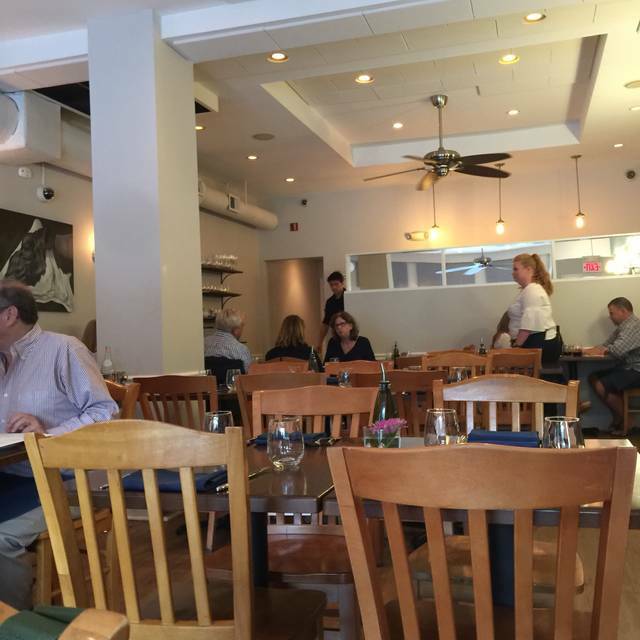 Owned and operated by brothers Chuck and Tylar Lesbirel, both formally of AMA Ristorante in Sea Bright. 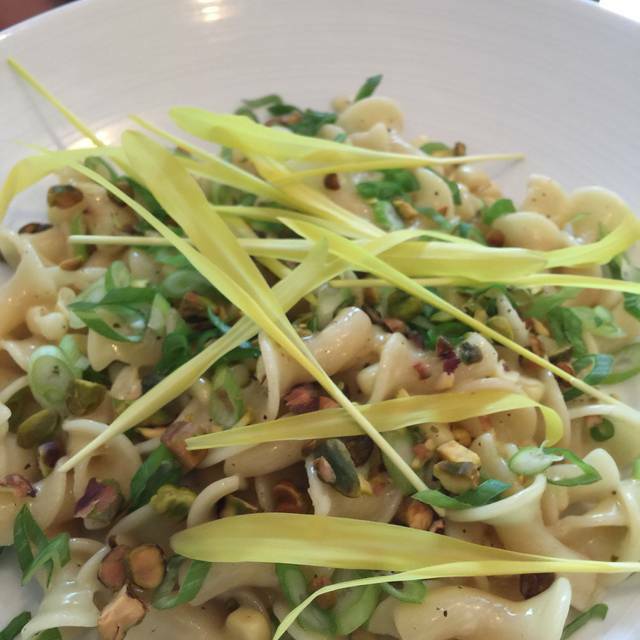 Semolina has a menu focused around the seasonality of fresh, local ingredients. Best pork chop! Delicious Easter meal with great service. Was pleasantly surprised by this restaurant. I'd give it a 4.5. Every pasta dish was very good. The Chicken Burata was very good as well albeit the sauce a little sweet. The desserts were good as well except for the rice pudding. Overall it was a great experience. The entire staff loves what they represent and it shows through their kindness and passion for all their food. Excellent food and service. Scallops were some of the best I’ve had. Absolutely everything was outstanding!! You can tell when you dine at a restaurant where there is a passion for what is being served! This place is it, period!! GO you WON’T be disappointed with anything you order!! Absolutely wonderful and delicious, just a bit loud! Whenever we have the opportunity to eat out, our “go to restaurant” is Semolina. 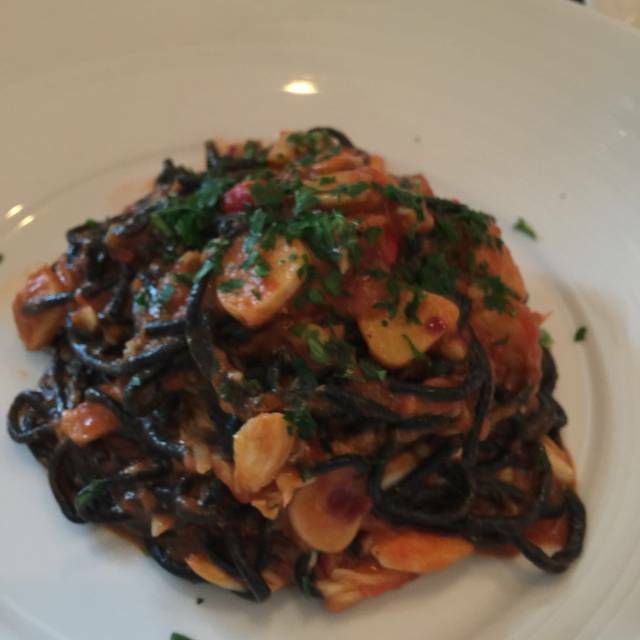 We LOVE the pasta, but everything they have on the menu is SUPERB! We make multiple reservations to ensure that we can go back again and again. 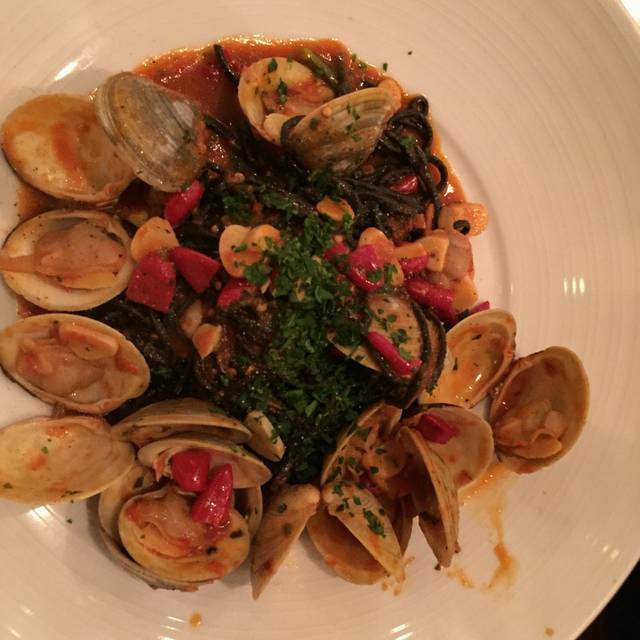 Coming from a restaurant family, we take our restaurant selections seriously and Semolina and staff NEVER DISAPPOINT! Wish you had special and not just the menu. Enjoyed what we had but will not have to wait for anew menu. Amazing food. Super Fresh ingredients. Great staff. Everything about Semolina is excellent. The food is incredible, fresh and delicious. The staff is welcoming and very friendly. Always excellent!!! On every level food service ambiance this restaurant is 5 Star!! Very enjoyable. Excellent service. Food well seasoned, pork chop was spectacular. There must have been a misunderstanding when I was called at 7:15 and told our 7:30 reservation was being pushed and to go grab a drink in town so we weren’t waiting in the small entrance for our table. The hostess would not seat an incomplete party so my friend and I had to wait for our husbands to find parking and arrive. Once settled Around 8:15, our waitress disappeared only to come back and ask us “what do you want for dinner”. Her tone made it seem like we were holding her up. We quickly placed our appetizer and entree order and tried to shake off the hurried feeling we were experiencing. The appetizers of beets and ricotta was beautifully presented and my husband enjoyed it very much. The pork chop was cooked to perfection. I ordered the carbonara which was overly peppered. The presentation is beautiful but be aware the duck yolk is raw and is meant to finish cooking once mixed with hot pasta. I am able to get past the pepper because the rest of the dish was savory and filling. Unfortunately, we were rushed again through our dessert and coffees and really left an unpleasant feeling. The restaurant had booked a 9:30 seating and we were told to leave. Very upsetting. just not what I was looking for when spending over $100 per couple on a Saturday night. I want to relax, enjoy and take in the delight of being out with friends and my husband. I wish semolina would offer us a redo because the food was outstanding. Upon our 7pm reservation we were seated immediately. Monica offered wonderful recommendations, the food came out promptly and our experience couldn’t have been more perfect. We were more than satisfied with everything from start to finish. We are looking forward to coming back and once again taking Monica’s suggestions. Thank you. Food was excellent, some of the best pasta I've ever had. My only complaint is a small one, I wish their tables were a little bit larger as having pasta plates and other dishes on their gets crowded very quickly. The food was fresh, locally sourced and perfectly prepared. The staff could not have been more accommodating. We will be back! Monica was amazing. Made great pasta recommendations. Pork belly & Caramel dessert.....delish! Overall nice small place. 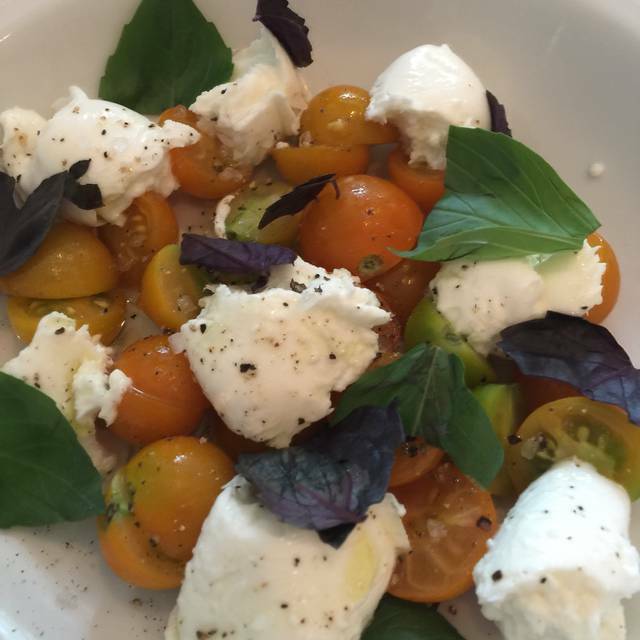 Menu changes seasonally which is always a plus. 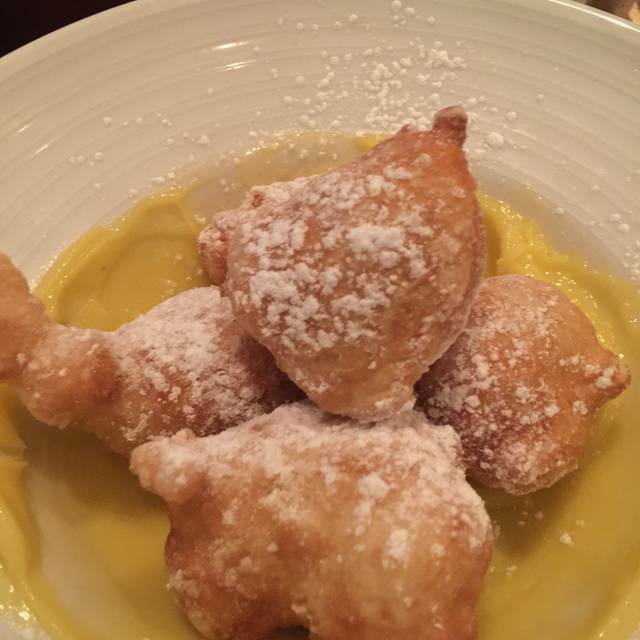 I had the zepplois for dessert, didn’t taste fresh, but overall a nice experience. This was our first visit to Semolina and it won’t be our last. 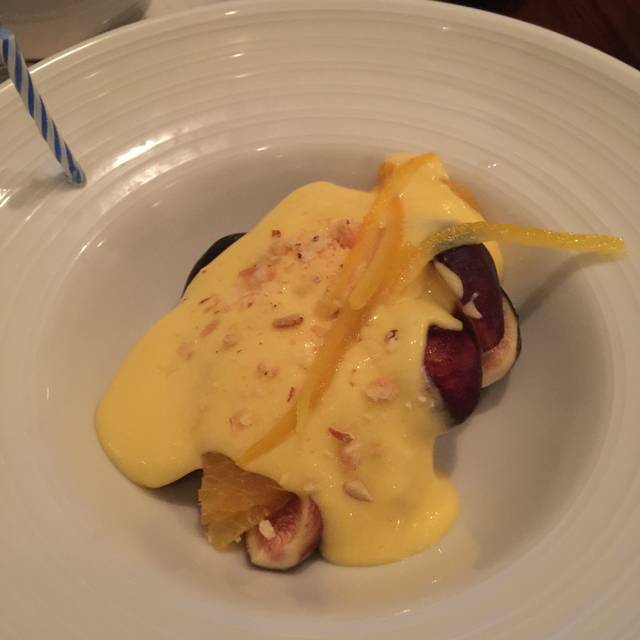 The food and service were exemplary and we are looking forward to our next visit! First time here so it was only me and a girl friend, food was delish, waitress was friendly and knew the menu! But felt totally rushed we were finished in exactly 1hr! Waitress said they like to get 3 turnovers on our table. I have another reservation in a few weeks for 4 lets see what the time frame is then... to be continued. Food was good.quite noisy. Seating was tight. My friends and I went for dinner on a Thursday night. Our server Ryan was very knowledgeable and attentive. We had the beets with ricotta and clam appetizers. Soooo delicious. Those clams!!!! My gosh !! I had the scallops with leek purée. Tender and tasty! And beautifully plated. The others had the pork chop which was cooked perfectly. They loved it. We had a pudding type of dessert which I cannot remember the name but it was one of the best desserts I’ve had in a very long time. As a resident of Red Bank I’ve been to every restaurant in town and I can honestly say that right now, this the the best in Red Bank. We love that this restaurant is BYO and that when they have pasta on the menu, its fresh made in house, never store bought. The choices the night we went were an amazing pasta carbonara and a cacao e pepe. Bothe were very good. Monica our server was fantastic. Kudos to her. Another nice thing about Semolina is that the menu changes with the seasons. We will continue to try every dish on the spring menu and can't wait for summer. Food and service were excellent. Our server was very knowledgeable and pleasant. Every dish was outstanding. This is my third time back to Semolina and I will keep returning. 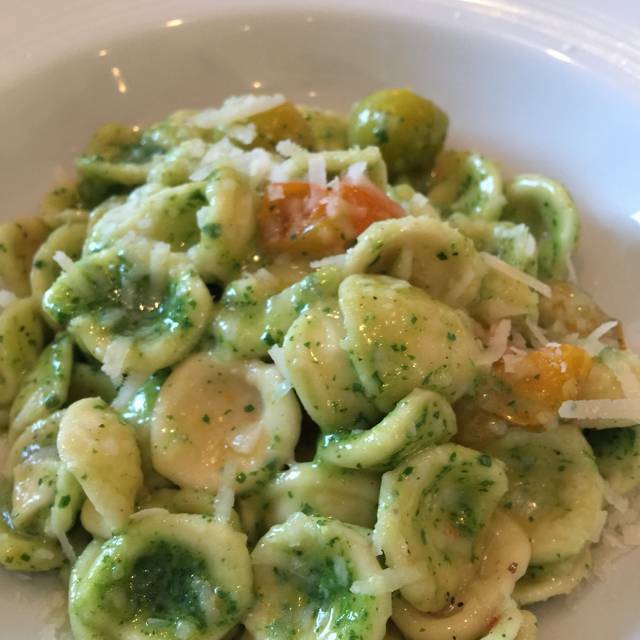 The food never disappoints, the fresh pasta is always a highlight of the meal. Monica was our waitress and she was especially accommodating and friendly! everything great as noted in review, one piece of feedback was that food was served too fast. appetizers came about 5-10 mins after we ordered and the main course as soon as we were done with appetizers. We could have been down with dinner in about an hour, without even slamming our food down. Excellent- freshly prepared food with fantastic service! Will be going back again and again. Fabulous fabulous food. Love supporting local businesses and families!